I don’t really understand how people do it. People who post one - or more - masterpieces a day on Flickr, on their blogs, on their websites. Photos they took the day before, with a camera they bought last week, and will have discarded next month. The pressure to “keep up” gets so overwhelming that sometimes I want to give up on this whole interaction stuff, or give up on photography altogether. I could just stop taking new photographs now, and spend my remaining years reprocessing, fine tuning, giving some of my archive the attention it might deserve. I’ve got so many different projects, all unfinished, all seemingly endless. 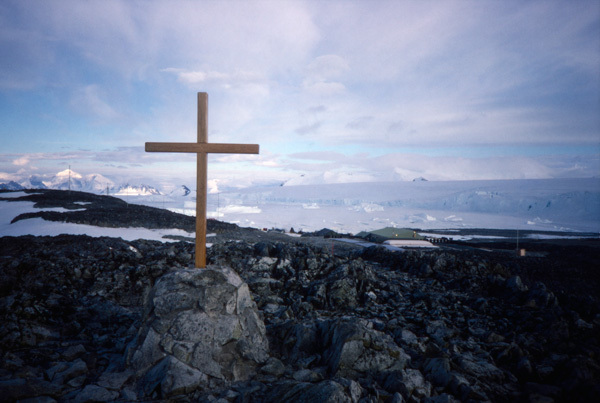 For example, I decided to revisit a large folder of slides from my Antarctic years which I’d discarded as no good. Most them are indeed hopeless, but some, in fact quite a lot, have a degree of documentary or personal interest, and a few are potentially hidden gems. I’m maybe half way through the initial “raw” scans. Since my expectations are not that high anyway, and I’m not looking for anything larger than an A4 print, I decided to scan them to 64bit linear (the other 16 bits are the IR channel) on my Canoscan 9000F, rather than my slower film scanner, but even then it takes ages. And then I have to reprocess to “normal” 48 bit in Silverfast HDR, then finally touch up in Photoshop. Probably quite a lot, considering their state. And then there are the several hundred which I considered “ok” in the past, many of which have never been scanned, or at least not properly. And that’s project 1. Then there’s a huge backlog of digital images, many taken this year in Italy and France, especially of the lavender fields in the Var, and of flamingoes in the Camargue, which I’ve hardly touched upon, or which need reworking from scratch due to my reversal out that disaster of a piece of software called “Mountain Lion”. And still from this year, their’s a whole bunch of shots from Iceland in February which remain in limbo. I have 38513 photos in my Aperture catalog, going back to December 2003. Many, many of these deserve further attention. And before 2003 ? Well I’ve got two shelves full of slide binders, and a very full MediaPro catalog. And then… my ongoing obsession with the XPan is all very well, but the workflow of getting an image of film into my archive is heavy going, and there again there are backlogs. And stuff from the last decade screaming to be rescanned, for example a whole batch from New Zealand over 10 years ago. And finally, what for ? Almost nobody sees this stuff. I’ve no real idea how may visits this website gets. It’s not zero, but it’s not very high either. Sometimes I get a few comments on Flickr, but for me 10 is a lot. Possibly I don’t do enough networking. Possibly my photos are not interesting, or don’t reach the level now needed to rise above the noise. And yet every day bloggers like Kirk Tuck or Ming Theing are showing what they did in the last 5 minutes with their new camera, while at the same time regularly delving into their archives, AND writing several feature length blog posts a day. I mean, what are they ON ?